Membership Directory – Your business will be listed alphabetically and categorically in our printed directory, which is given to all Chamber members, handed out to residents and tourists who visit our office, and distributed at select Chamber events. 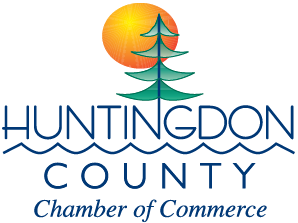 www.huntingdonchamber.com – Your business will also be listed on our website, which is often the first site people visit when trying to find information about our area. Your listing includes a link to your website, and a map to your location. You can add your Hot Deals/Coupons and Job Postings for free as well as create your own page with hours of operation, location information, business descriptions and key words to make it easier for you to be found in searches. Referrals – The Chamber staff always refers callers and visitors to Chamber members first. Members also have the option of displaying their marketing materials on the Chamber’s in-house brochure racks. Newsletters – An e-mail newsletter is sent out weekly to everyone who has provided us with an e-mail address. “Welcome” Bags – The Chamber offers a Welcome Bag to residents and businesses that are new to the area. This canvas bag, provided by The Daily News, is filled with information that is helpful when setting up a home or business in the area, as well as free gifts from other members. ChamberChoice Insurance – Through our partnership with ChamberChoice Service Corporation, members can apply for a wide variety of insurance options, including health care coverage through Highmark Blue Cross/Blue Shield. Click here for more information. Penn National Insurance - Offers dividends to Chamber members. Contact Brown & Walters Insurance Agency, Inc at 814-447-5568. Constant Contact® - Members who sign up to use Constant Contact®, the leading e-mail marketing service for small businesses, receive up to 25% off the regular cost. Bulk Mail Assistance – As a Chamber member, you can use our bulk mailing permit to send your marketing materials out to your customers and prospects. The Chamber provides the stamp and instructions. S.C.O.R.E. – The Service Corps of Retired Executives partners with the Chamber to offer business counseling and services to new and existing businesses in the area. REACH Employee Assistance Program – This program is designed to assist your employees with personal, family, and job-related problems as a means of protecting and improving their job productivity. Networking and Educational Events – The Chamber hosts or co-hosts a number of events, giving our members the opportunity to network with each other, as well as stay up to date on important business issues. Events include Business After Hours, Coffee Connection breakfasts, the Home & Outdoor Show, a golf tournament, the Annual Membership Luncheon, the Annual Awards Gala, workforce development seminars, and more. Chamber members receive a discounted admission rate. Committees – As a member, you could serve on one of the Chamber’s many committees, giving you the opportunity to become active in a group that interests you. Your thoughts and ideas would help shape the Chamber, the community and the region.